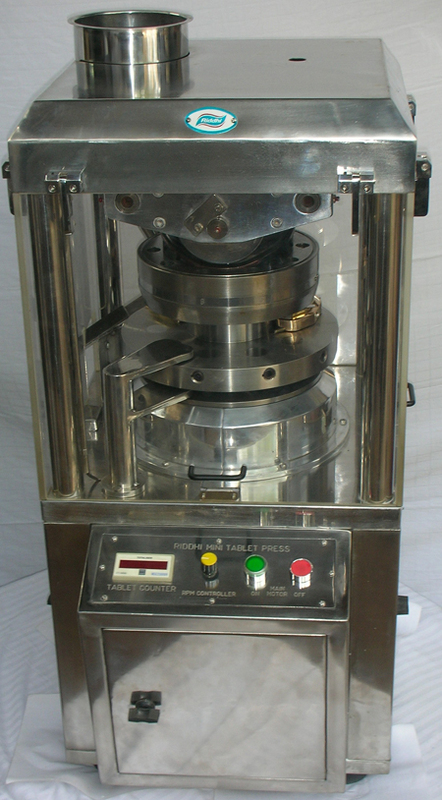 This rotary tablet press is built as per the GMP directives with total robust construction. At the same time, the necessary care has been taken to have trouble free operation, easy to clean and very low noise level. 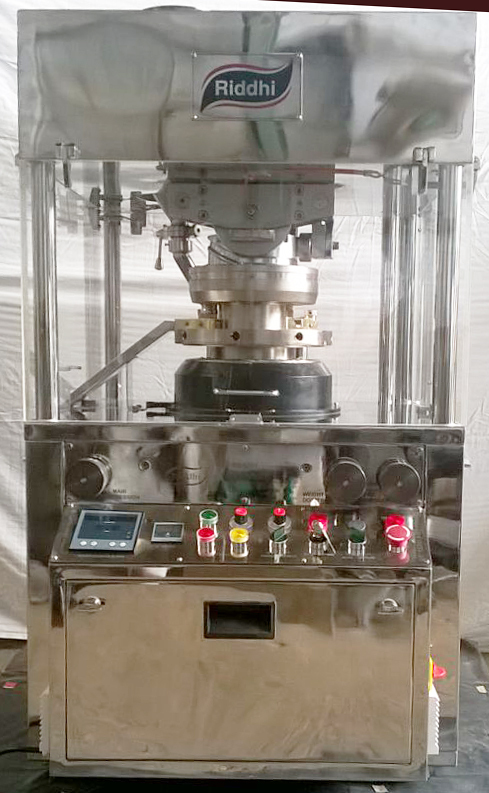 This state-of-the-art equipment can also be used for small batch production, thanks to its ‘B’ tooling specifications like 6 Tons pressure, maximum tablet diameter 16mm etc. which can be utilized for achieving the better output in its range. The maximum/minimum speed of the turret is achieved with the AC variable drive. Also the turret is equipped with key ways in upper guides as a standard feature. 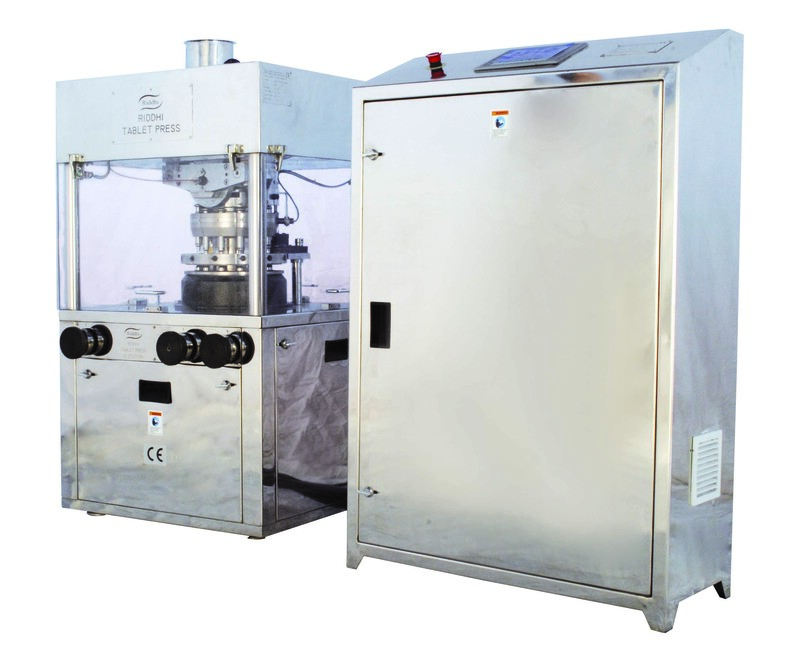 This small wonder is totally mobile and can be placed easily on table for laboratory use. As an additional precaution lower punch is equipped with seal(optional). 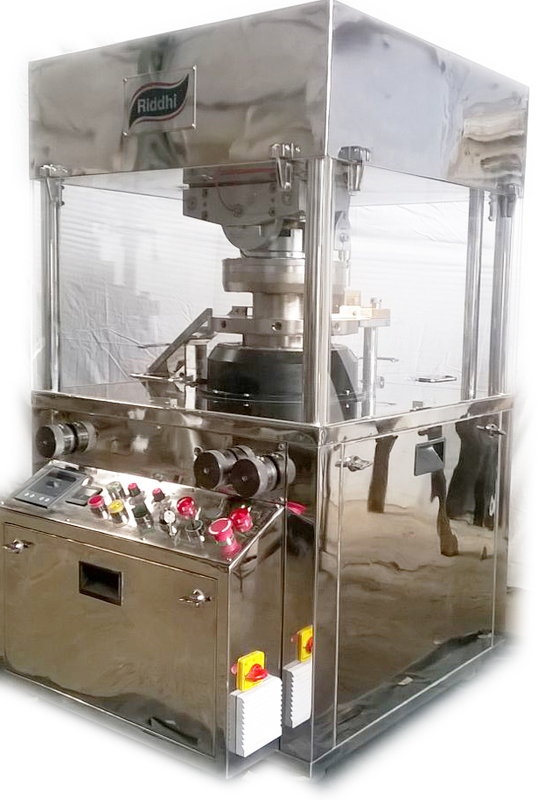 A fixed feed frame ensures easy settings and lowest wastage of material. Easy to Operate & Clean. AC drive with Fixed Pulley. Turret with key ways in Upper guides. Drive from Center Pillar by worm reduction Gear Box. Built as per GMP directive. 11.One piece Upper Cam Plate / Track. Main Motor 2 H.P.. 1.5 H.P. 2 H.P. 1.5 H.P.